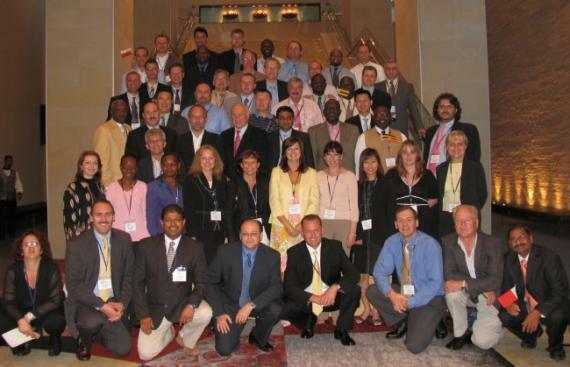 Our 5th Annual Network Meeting was held at the Westin Cape Town (formerly Arabella Sheraton Grand Hotel) in South Africa from 8-10 May 2006. Over 60 delegates from over 45 countries congregated to take place in Workshop Sessions and to enjoy presentations from the Ministry of Transport, South African Airlines and Foreshore Shipping. Not many freight networks have held meetings in Africa, preferring Asia as a location. However, we felt this was a great opportunity to give UFO Members a better understanding of the clearing and forwarding practice in Africa. This year the UFO Head Office introduced a tailored online system called Meeting Manager that enabled their delegates to pre-arrange 1-2-1 business meetings with their fellow partners. This coupled with presentations from the Ministry of Transport and South African Airlines proved to be a great success. The meeting also saw the launch of their new multimedia presentation. The animated presentation with full soundtrack was carefully designed to enable members to show their clients the huge potential the UFO network has for supplying complete logistics solutions. By providing this new marketing tool, Rachel believes that members can obtain the competitive edge in their market, which should ultimately open doors to greater business opportunities.